At INSPHERE, we fondly call the members of our team INSPHEROs and we’d like to help you get to know our team better. Meet Tom Farr, metrology engineer and the very first INSPHERO. What is your role at INSPHERE? Last week, INSPHERE travelled to Munich to visit AUTOMATICA 2018, the Leading Exhibition for Smart Automation and Robotics. 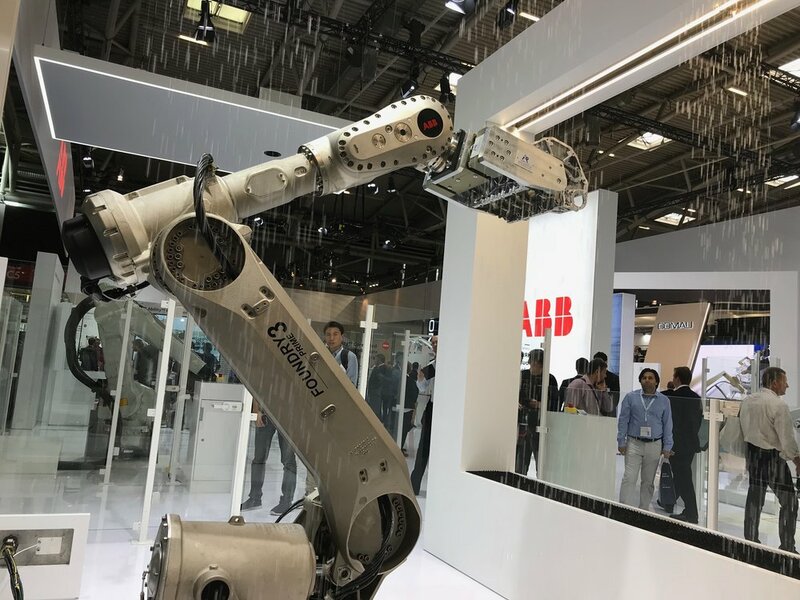 It was great to see both the emerging applications and new manufacturers in the robotic industry, and to also get an idea of the future landscape with respect to integrating varying levels of automation throughout the value chain. 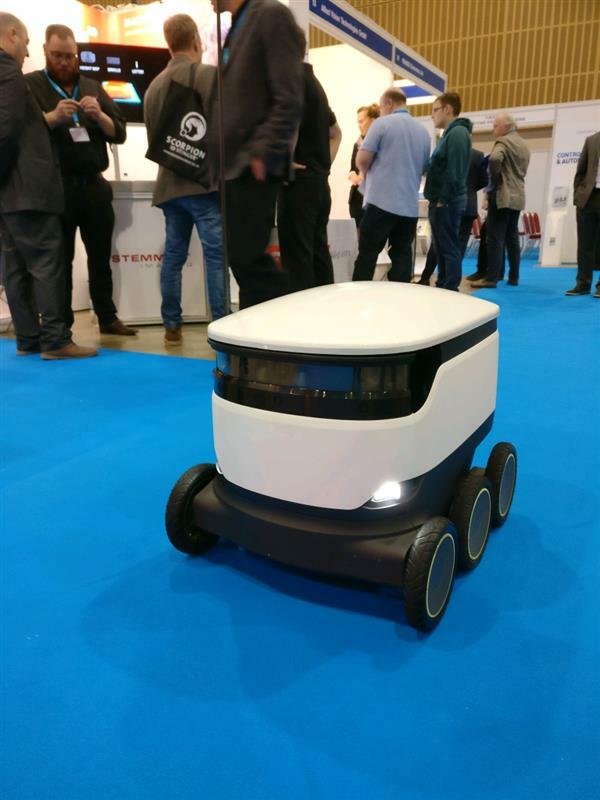 We're looking forward to the exciting future of automation, robotics, and the next Automatica! In this month's INSPHERE article, Ben Adeline makes a bold statement and discusses how a value-added approach with metrology can help manufacturing industries achieve the greater productivity and quality improvements that they are continuously striving for. You can read the full article here. For exclusive case studies from our current portfolio of work and to be sure not to miss any of our technical or thought leadership articles, don't forget to sign-up to our quarterly newsletter - the second edition is out in a few weeks! Formula Student (FS) is an educational engineering competition undertaken by undergraduate students that aims to develop world-class enterprising and innovative engineers. Drawing on our practical expertise and past industrial experiences in motorsport, INSPHERE have been with the Southampton University Formula Student Team this week providing the metrology for a full car assessment, helping to propel the team into their events knowing more about the manufacture and assembly of their car. We wish them the best of luck for the competition! Outsourcing metrology functions in an organisation can initially appear expensive, but with a selective approach it can be a highly effective way to adopt new opportunities to drive efficiency gains in manufacturing. In this month's article by INSPHERE, Chief Operating Officer Craig Davey discusses why you might outsource your metrology and how to develop an effective strategy to do so. You can read the full article here. For exclusive case studies from our current portfolio of work and to be sure not to miss any of our technical or thought leadership articles, sign-up to our quarterly newsletter - the second edition is out in July! 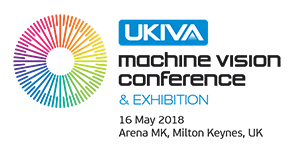 Last week, INSPHERE attended the UKIVA Machine Vision Conference and Exhibition in Milton Keynes. It was a good day with some interesting talks on the integration of vision with robots and machine learning. There were also some great systems on show for product inspection. In 1875 on this day, international representatives signed the Metre Convention and so began a worldwide uniformity of measurement. Metrology, the science of measurement, has an impact on all industries. It continues to be fundamental to innovation and manufacturing, and one of the key drivers behind exciting developments in automation, Industry 4.0 and smart manufacturing - all of which INSPHERE are pioneering with our in-house research and innovation schemes. Happy World Metrology Day from the INSPHERE team! This month, you can read about INSPHERE in an editorial feature in the latest issue of Composites in Manufacturing which you can find here - Chief of Operations, Craig Davey discusses our thoughts on measurement challenges in composites applications and also how to solve them! Last week, INSPHERE spent a couple of days in Stuttgart at CONTROL 2018, International Trade Fair for Quality Assurance. It was a great event and the perfect opportunity for us to meet with our metrology industry contacts and friends, and to start some exciting new relationships as well. It was great to see such a vast array of metrology on show and interesting to see that compared to the UK, the European industry appears to be much more in tune with the benefits that can be gained through metrology - something we're very passionate about! In the latest article by INSPHERE's Chief Executive, Ben Adeline discusses three steps to help develop a systematic approach to improving measurement data to add value and improve productivity in manufacturing. You can find the full article here and don’t forget to sign-up to our quarterly newsletter that contains all our exciting technical articles and case studies from our current portfolio of work. Composites UK hosted their Aerospace Sector Showcase April 19th at the AMRC, and INSPHERE were there to discuss our strategy for intelligent metrology for composites manufacturing with the ATI and other key industry representatives such as Airbus and GKN. Rob Hewison, Technical Manager at the AMRC commented that "accuracy and ensuring structures meet the design intent will be critical to ensuring the success of advanced composite structures" - a strong argument for metrology as a critical enabler for advanced composite manufacturing. It was a great event and we look forward to the next showcase. Technical Manager, Rob Hewison gave an overview of aerospace innovation projects at the AMRC. 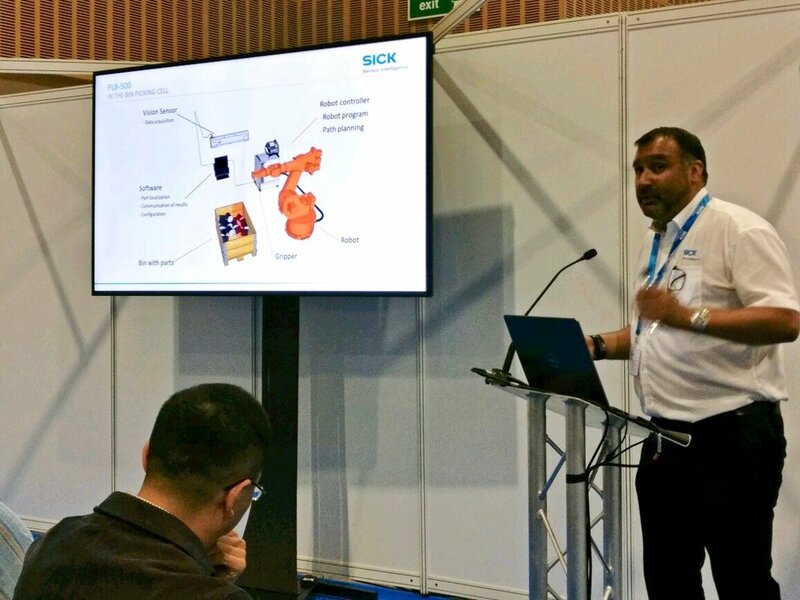 Last week, INSPHERE visited MACH 2018. 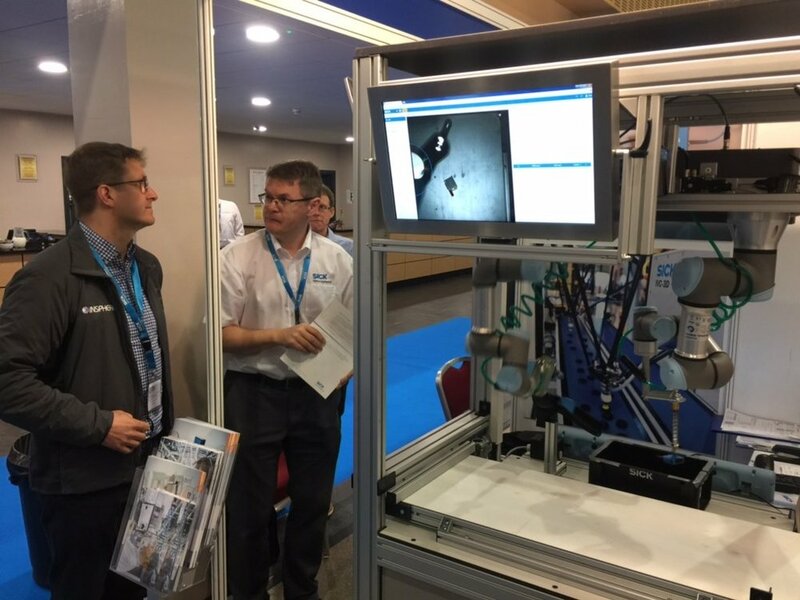 It was good to see so much measurement technology on show, and for measurement to have such a high profile amongst machine tools, automation, and advanced manufacturing at the event. 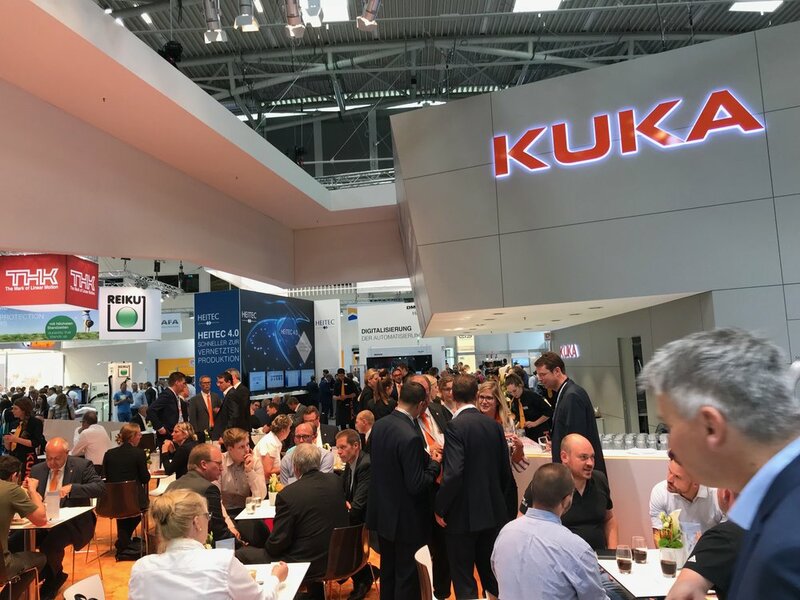 There were many exciting developments being showcased, many related to automating measurements, processes and developing solutions for in-process measurement - all of which are solutions that we help our clients to implement. The INSPHERE team are keen mountain bikers and there was a lot of interest in some of the gear on show. INSPHERE's new quarterly newsletter available now! Each quarter, INSPHERE will be releasing a company newsletter and the inaugural edition is available now. You can find the newsletter here, or alternatively, subscribe to the newsletter mailing list to get all future editions delivered straight to your inbox. This quarter's newsletter features our articles on automating measurement, using SpatialAnalyzer Measurement Plans, and an exclusive case study on how INSPHERE provided advanced training to help build a Metrology team from the ground up. Have a read and let us know what you think! Good metrologists will design measurement processes that are robust and cost-effective. One of the tools that can be used with significant benefits to streamline processes is SpatialAnalyzer’s Measurement Plan. As a scripting mechanism, it is a powerful tool that can be used to automate both data acquisition and analysis. In an article released by our Chief Technical Officer, Ollie Martin discusses the reasons why you might start using Measurement Plans and what you might gain from doing so. You can read the full article here. For exclusive case studies from our current portfolio of work and to be sure not to miss any of our technical articles, sign-up to our quarterly newsletter. The first edition is due for release next month! INSPHERE are proud to be members of the West of England Aerospace Forum (WEAF). At the end of February, the Annual Dinner and Conference was held in Bristol. It was great to meet our fellow members and participate in the discussions on the 'Challenge of Change'. You can read more about the WEAF event here. One of many interesting talks - Malcolm Scott from the Aerospace Technology Institute (ATI) discusses UK supply chain and transformation through technology. It was a great day at HM Treasury for our Chief Executive Ben Adeline who was invited to take part in a discussion panel with Rt Hon Chief Secretary to the Treasury, Liz Truss. Ben shared the experiences of INSPHERE as a successful, growing company and his thoughts on economic policy and entrepreneurship for the future of UK advanced manufacturing with senior MPs. 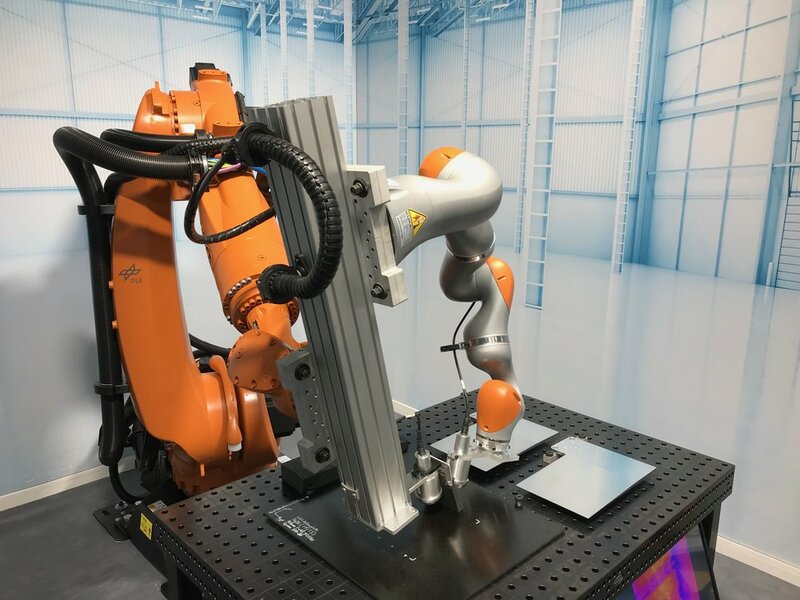 Although robots often steal the limelight when it comes to automation, significant gains can be generated by automating the software aspects of the measurement process. In a newly released article, Ben Adeline our Chief Executive discusses the benefits of measurement automation that can be achieved through software scripting. However, there are pre-requisites and considerations that will help you decide whether software automation is right for you. These are also worth considering before you approach a specialist such as INSPHERE to help design and implement your measurement automation process. You can find the full article here and don’t forget to sign-up to our new quarterly newsletter that will contain more exciting technical articles and case studies from our current portfolio of work, coming soon. We are delighted to welcome Solomon William Kamugasa to the INSPHERE team. Solomon has recently arrived from CERN where he was researching the development and validation of Frequency Scanning Interferometry based multilateration networks for pre-alignment of particle accelerator components. He joins our growing team of highly experienced metrology engineers and has been thrown straight into some challenging industrial metrology projects. We are delighted to welcome Richard Kingston to the INSPHERE team. Richard’s many years of experience in robotics, metrology, and software programming will add great value to INSPHERE’s growing portfolio of metrology automation projects and research. He has already started to put his coding skills to work on some of our exciting new metrology developments.